Lawrence Wells, MD, is the Associate Director of the Sports Medicine and Performance Center at Children's Hospital of Philadelphia (CHOP) and specializes in treating elite young athletes. 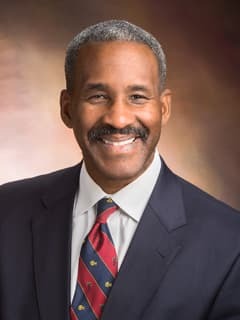 Lawrence Wells, MD, is a graduate of Stanford University and the University of California-San Francisco School of Medicine. He completed his orthopedics surgery residency at the University of California-San Francisco and a fellowship in pediatric orthopedic surgery in Cincinnati, OH. In 1990, Dr. Wells joined the Permanente Medical Group in South San Francisco, CA, and worked as a staff physician at the Kaiser South San Francisco facility. Dr. Wells also provided care for children at University of California-San Francisco as an Assistant Clinical professor of Orthopedic Surgery. In 1998, Dr. Wells was appointed Assistant Physician-in-chief at Kaiser South in San Francisco. Dr. Wells was recruited to Children's Hospital of Philadelphia in 2002. Dr. Wells’ academic interests include pediatric sports medicine. He has written extensively and lectured nationally about injury recovery and prevention in the pediatric and adolescent athlete. His special interests include arthroscopic surgery for shoulder injuries and major knee ligament injuries (ACL) in pediatric and adolescent athletes with open growth plates. Dr. Wells serves as the Associate Director of Sports Medicine at CHOP and the Director of Orthopaedic Ambulatory Operations at CHOP's Specialty Care Center in Voorhees, NJ, and is a board member of the Philadelphia Orthopedic Society. He also serves as a departmental safety officer and committees related to patient satisfaction and infection prevention. Dr. Wells has published more than 100 peer-reviewed articles and chapters. He is certified by the American Board of Orthopedic Surgery and holds a certificate of added qualification in orthopaedic sports medicine. Cameron D, Wells L. Hemiepiphyseal stapling for treatment of genu valgum: a case report, University of Pennsylvania Orthopaedic Journal. 2009 Apr;19: 27. Wells L, Dyke J, Albaugh J, Ganley TJ. Pediatric ACL reconstruction: analysis of hamstring recovery after surgery [abstract]. Proceedings of the American Academy of Orthopaedic Surgery Annual Meeting; Las Vegas, 2009 Feb; NV. p. 107. Goebel J, Abel K, Ganley TJ, Wells L, Winell JJ. ACL injuries in the pediatric population: a report of our center's experience [abstract]. Proceedings of Pediatric Society of North America Annual Meeting; 2009 Apr. p. 89. Winell J, Goebel J, Abel K, Ganley T, Wells L. ACL injuries in the pediatric population: a report of our center's experience [abstract]. Proceedings of European Pediatric Orthopaedic Society 2009 Annual Meeting, 2009 Apr; Lisboa, Portugal. Flynn JM, Garner MR, Jones KJ, Wolfgruber HC, D'Italia J, Davidson RS, et al. A "walking spica" cast is better than a traditional spica cast for low-energy femur fractures: results of a prospective cohort trial [abstract]. Proceedings of Pediatric Orthopaedic Society of North America 2009 Annual Meeting. 2009, Apr. Wells L, Dyke JA, Albaugh J, Ganley TJ. Pediatric anterior cruciate ligament reconstruction: a retrospective analysis of hamstring strength recovery after surgery [abstract]. Proceedings of Pediatric Orthopaedic Society of North America 2009 Annual Meeting. 2009 Apr. p. 203. Goebel JA, Abel K, Ganley T, Wells L, Winell JJ. ACL injuries in the pediatric population: a report of our center's experience [abstract]. Proceedings 2009 American Academy of Pediatrics National Conference and Exhibition; 2009 Oct.
Flynn JM, Garner MR, Jones KJ, Wolfgruber HC, D'Italia J, Davidson RS, et al. A "walking spica" cast is better than a traditional spica cast for low-energy femur fractures: results of a prospective cohort trial proceedings [abstract]. 2009 American Academy of Pediatrics National Conference and Exhibition; 2009 Oct.
Park SD, Hsu JE, Rendon NN, Wolfgruber HC, Wells L. The utility of posterior sloping angle in predicting contralateral slipped capital femoral epiphysis [abstract]. Proceedings 2009 American Academy of Pediatrics National Conference and Exhibition. 2009 Oct.
Wells L, Sehgal K, Dormans JP. Common fractures. In: Kliegman RM, editor. Nelson's textbook of pediatrics. Philadelphia: W.B. Saunders; 2010. ch. 682. Wells L, Sehgal K. The knee. In: Kliegman RM, editor. Nelson's textbook of pediatrics. Philadelphia: W.B. Saunders; 2010. ch. 676. Wells L, Sehgal K, Dormans JP. Evaluation of child. In: Kliegman RM, editor. Nelson's textbook of pediatrics. Philadelphia: W.B. Saunders; 2010. ch. 672. Wells L, Sehgal K. Torsional and angular deformities. In Kliegman RM, editor. Nelson's textbook of pediatrics. Philadelphia: W.B. Saunders; 2010. ch. 674. Wells L. Lower extremity trauma. In: Dormans J, editor. Requisites in pediatrics: pediatric orthopaedics & sports medicine. Philadelphia: Elsevier; 2004. Wells L. Sports medicine knee pain. In: Dormans J, editor. Essentials of pediatric orthopaedics. Philadelphia: Elsevier; 2003. ch. 24. Wells L. A cost analysis of patient controlled analgesia in patients undergoing outpatient rotator cuff surgery. Leroy Abbott Orthopaedic Society Proceedings 25, 1994. Wells L. Pediatric ACL reconstruction: analysis of hamstring recovery after surgery [presentation]. 2009 American Academy of Orthopaedic Surgery Annual Meeting; 2009 Feb; Las Vegas, NV. Wells L. ACL injuries in the pediatric population: a report of our center's experience [presentation]. European Pediatric Orthopaedic Society 28th Annual Meeting; 2009 Apr; Lisboa, Portugal. Wells L. Management of osteochondral defects in children [presentation]. National Medical Association 2009 Annual Meeting; 2009 Jul; Las Vegas, NV.